Validating incoming user data is an important piece of your API. Make sure you heavily rely on hapi’s built-in validation features. The hapi core framework works great with the help of a schema validation library, called Joi. Never ever trust input data! On your end, provide helpful error messages for faulty validations. 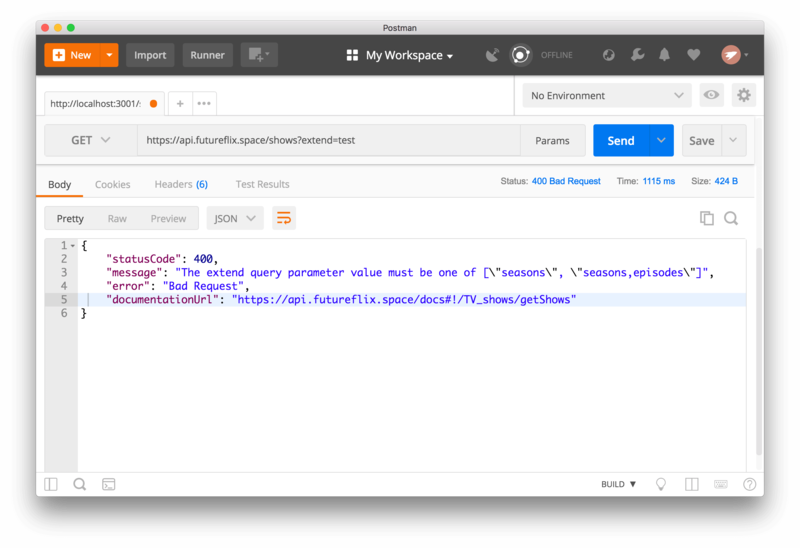 Let developers find their problems with your API by pointing them directly to the issue and a helpful resource to find more details, like the API documentation. That’s what you’ll add to your API in this tutorial: create a custom error that contains a link to the API documentation and also serve your own error message!